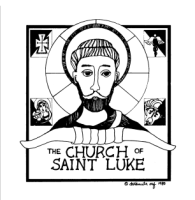 The Church of St. Luke offers many ways in which you can give or support the parish financially such as automatic donation. Automatic donation is similar to "direct deposit" but retracts money from the account at the designated amount in which you have set. In other words a specific dollar amount that you set will be deducted from your credit or checking account each month in support of the Parish. In order to get started, click on the Online Giving tab above in which you will be directed to our Online Giving Site. From the site you will find the Featured Giving Opportunity, the St. Luke Sunday Collection then click on the orange "Make a Donation" icon. In order to make a one time donation, click on "One Time Donation" in the bottom right-handcorner of the screen; follow the prompts to make a one time donation to the Church. In order to make a reoccurring donations, click "Recurring Donation" in the bottom left-handcorner of the screen. From there, follow the prompts to set up an account and to select donation amounts each month. If you have any questions or would like to learn more about Online Giving please call the Parish Office at (619) 442-1697 during normal business hours.